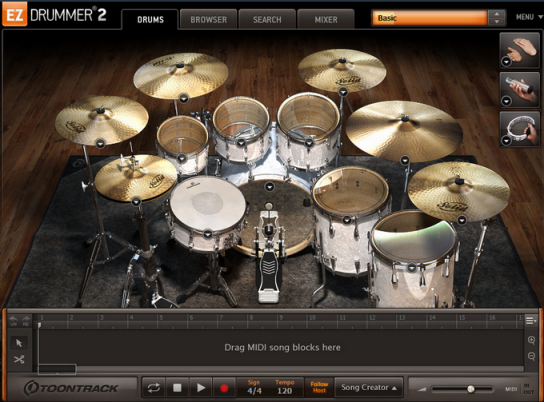 Toontrack Ezdrummer 2 - lovely live drum kit with high quality sound that will help you, musicians, arrangers and composers just beginning, to create professional drum tools for their songs or backing tracks, without an invitation in your studio "drummer". An extensive library of drag and drop MIDI (featuring 8000+ files MIDI) allows users to create a great drum track in just a few clicks. For more advanced handling Toontrack EZdrummer 2 users can control microphone and levels between drums using the internal mixer.